Watch the visuals for the first ever single to come from his debut solo album, As You Were. 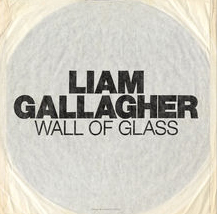 Liam Gallagher has revealed the video for his Wall Of Glass single. The track is the first cut to be taken from his debut solo album, As You Were, which he told Pitchfork is expected to be released in October. The François Rousselet-directed video sees Liam performing to camera and addressing himself in the mirror. Talking to Pitchfork about the shoot, which he said was in part inspired by James Bond and Bruce Lee films, the rocker said: “I did get to wear a gold Saint Laurent hooded jacket in one scene, which I convinced myself made me look like a modern day Elvis, as he loved to wear gold suits". Wall Of Glass is available now. Liam Gallagher previously teased the track under his Ha Illegal Gram pseudonym earlier this week, showing off the artwork online. The rocker also first teased new music on Friday (26 May), telling his fans that "the wait is nearly over". Meanwhile, Liam Gallagher is set to Radio X and speak to Johnny Vaughan this Thursday (1 June), ahead of his solo gig at London's Electric Brixton. Radio X is available on 104.9 FM in London, 97.7 FM in Manchester, on Digital Radio across the country, online and via our apps.